Men’s Community Bible Study @ Homeplate Grill, 769 N. Main St. Hunting pants & crocs, or flip-flops & t-shirts are welcome. Oh, and messy lives and questions and doubts are welcome too! Just rolled out of bed and hair’s still wet and shirt’s wrinkled and no time for breakfast? . . . no worries. Krispy Kreme and coffee, and Cheerios for the kids, will be here to welcome you with a warm smile. We’re currently a small band of folks from all over the region — Emporia, Stony Creek, Waverly, Hopewell, Roanoke Rapids, Lake Gaston, and Jackson NC. God has called us together here in Emporia. We are praying bold prayers together and working to make a difference in the community and in the relationships God has given us. Team ministry is part of our culture — that means everyone gets to play! There’s no backbench. God wants everyone to enjoy making a lasting contribution on the field of life. And those of us who are tempted to feel as though we are the weakest members of the team are often the ones God empowers for the biggest impact. 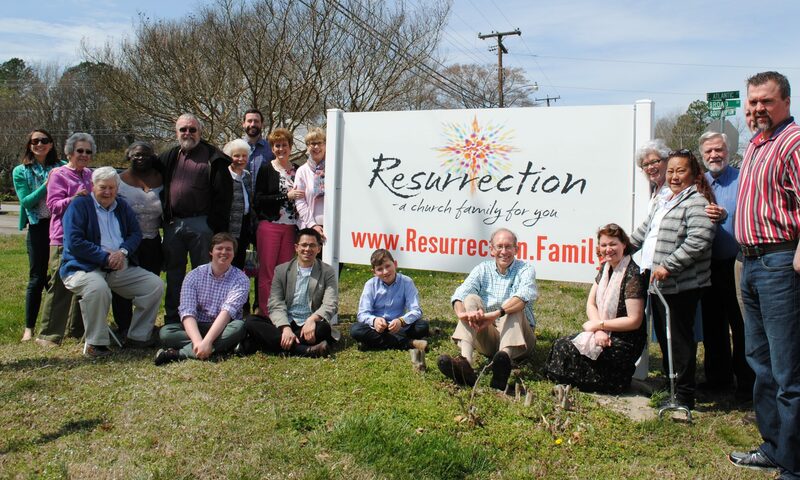 Resurrection is not an independent ‘Lone Ranger’ church. First, as a congregation in allegiance with the world’s Redeemer King, we’re part of the universal ‘body of Christ’ — Jesus’ people throughout history, throughout geography, throughout cultures, throughout denominations. Second, we live out that connection not only by partnering with various other churches and ministries, but also through a network of churches called the Anglican Church in North America which is part of a global network called GAFCON. Resurrection’s pastor (vicar) is the Rev. Harry K. Zeiders. Harry can testify to God’s profound transformation of broken areas in his life. Half-Japanese, he was raised by his American grandparents in Pennsylvania. After working in various businesses and industries, he finally answered God’s call to ordained church leadership. A graduate of Gordon College and an M.Div. graduate of Asbury Theological Seminary, Harry helped pioneer several ministries in northern Virginia and then led culture shifts in a multi-site church near Belfast, Northern Ireland. The Zeiders family and their rescue dog came to call Emporia home in 2017. Harry enjoys exploring the local region, perfecting his Saturday morning pancake recipe, critiquing parking lot layouts, and listening to Spotify artists, such as Mat Kearney, Eric Whitacre, Jesus Culture, U2, and Rend Collective.